Happy (almost) 4th of July! Here's hoping that if you don't live near a Trader Joe's, you'll be traveling to one over the holiday weekend! If you're planning your first visit, but sure to check out all of our TJ's reviews. This week, Jack and I are reviewing Trader Joe's Chocolate Coconut Almonds. A 12-ounce package will cost you $4.99. A mom's (my) take: Oh. My. Word. Trader Joe's has a lot of yummy treats to choose from, and I'd say these just landed in my top 5. Let's start from the inside out. First, there's a crunchy whole almond in the center. 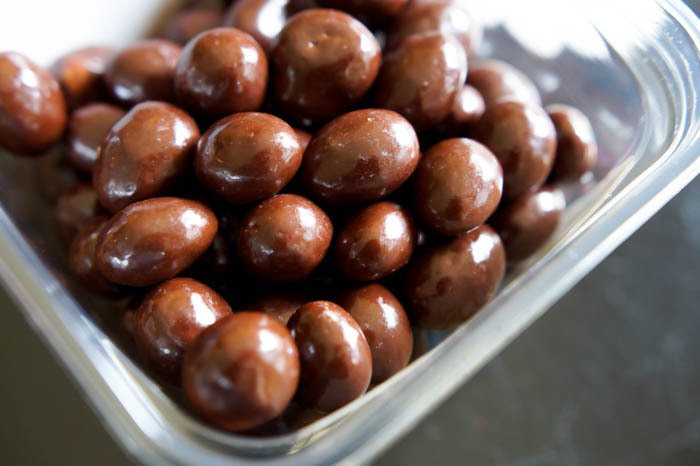 That almond is covered in a coconut coating and then enrobed in a rich, thick chocolate layer. The coconut is just enough to give these a little bit of a tropical feel without hitting you over the head with a coconut. (That sounds painful.) These seem like just the sort of thing that might be served poolside under a striped cabana at the fanciest Hawaiian resort (along with a frosty coconut daiquiri). Warning: these are hard to put down. A teenager's (Jack's) take: These are great, and the flavors all come out like they are supposed to! The first thing I tasted was the coconut, followed by the classic crunch of the almond itself. Finally, the chocolate (noticeably milky, I might add) finishes it off pretty strongly, and it seems like there is much more than a millimeter or two surrounding the almond. Overall, these are great and packed with flavor! 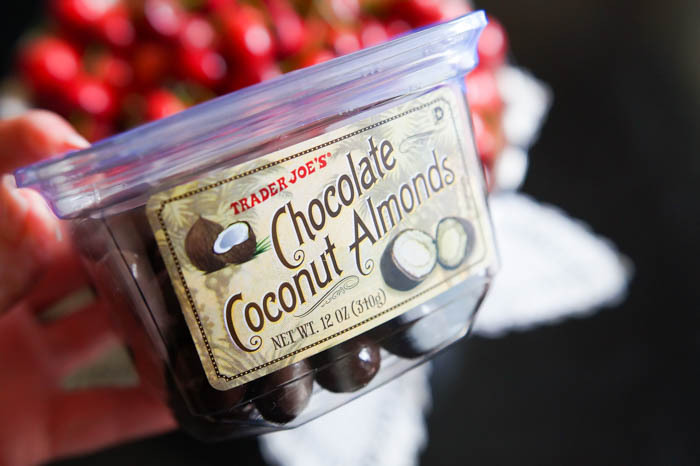 Trader Joe's Chocolate Coconut Almonds: You need them. 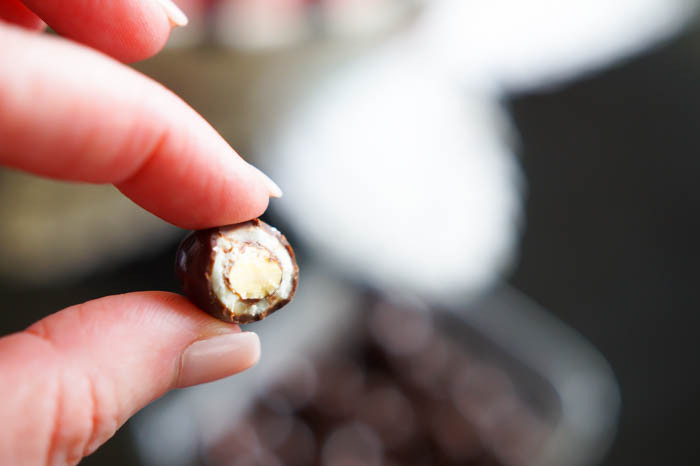 Read all of our reviews of Trader Joe's treats and sweets here! I LOVE these things, and yes, they are so addictive! I need to add those to my next TJ run! Chocolate is just my favourite thing in the whole wide world I could read any time of the day and everyday so thanks for posting about this it made me hungry so I am going away. Thank for your sharing good blog comment.